Meet a Member of the MGE Team! “My job to me, if defined, wouldn’t be called ‘a job’ but more like ‘a game’. It’s a game that I play well at and seem to always win! 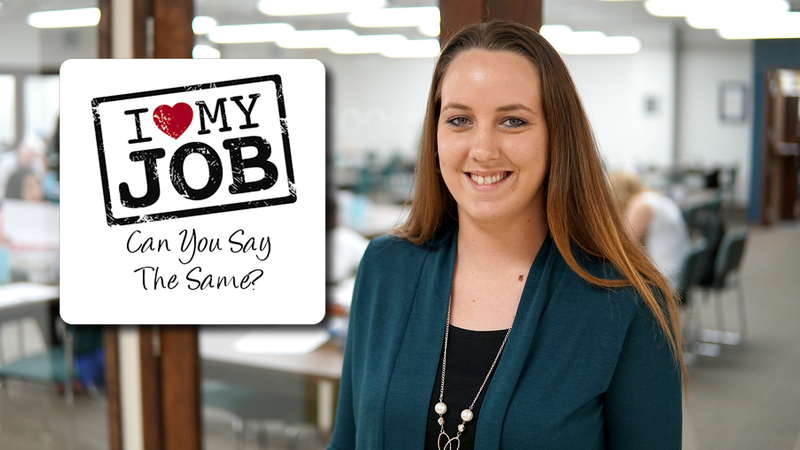 Before working at MGE, I never thought that I could say I love this thing called ‘my job.’ But 6 years later, I say it all the time. Prior to coming to MGE, I was working in what I considered to be a dead-end job, with no real future and limited room for advancement. I wanted a new life, a new start at something that I could happy doing long-term. I wanted to be important and make use of my full capabilities. I started out at MGE as the receptionist in 2011. I learned that MGE would invest in me as a staff member and as an individual. I got to experience the training myself to become a more valuable part of this team. And just to be clear – this isn’t just a few hours of training on how to do my job a little better. As an MGE Employee I have the ability to take the entire curriculum of MGE training – hundreds of hours of courses on subjects ranging from communication, to management and leadership. As a training company, we expect that we do what we teach! So, yes MGE employees TRAIN, TRAIN, TRAIN! After 3 months on reception, I moved up to Course Administrator, and 6 months after that I started training to be a Courseroom Supervisor. I have been a successful Couse Supervisor for three years and am now the Lead Practical Supervisor; an executive with people working under me! The opportunities are endless here and I don’t plan to leave my career where I am now – the sky is the limit, and MGE is all about moving up. Your only limitation is you. If you’re productive, willing to take added responsibility and show initiative, there’s really no ceiling!